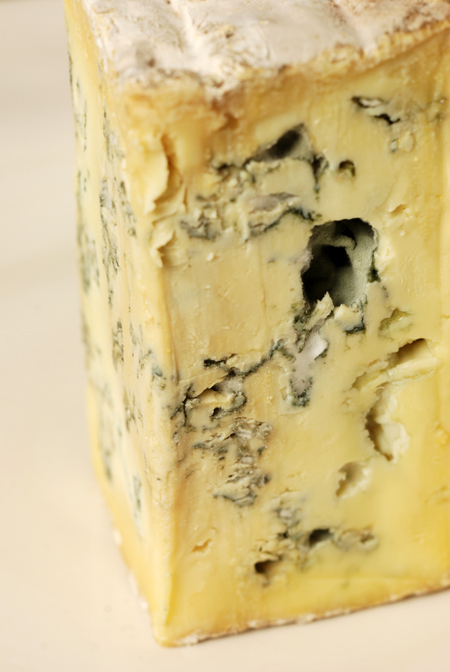 Time for a change of pace - where previous cheeses are more the artisan type that can be a bit difficult to find, this next offering is much more readily available and found in most supermarkets. 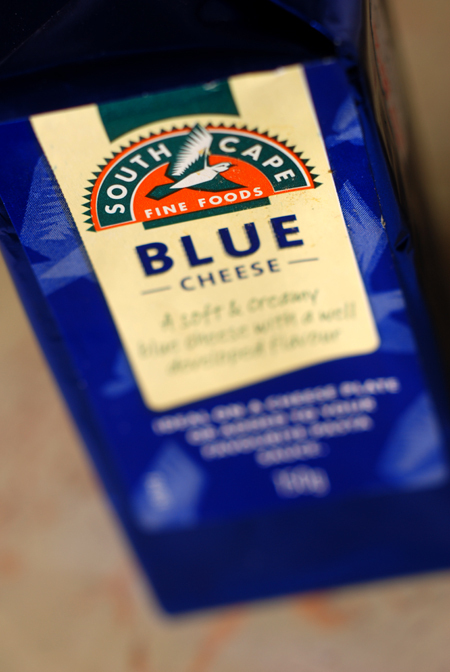 Produced by National Foods, this is South Cape Blue Cheese. 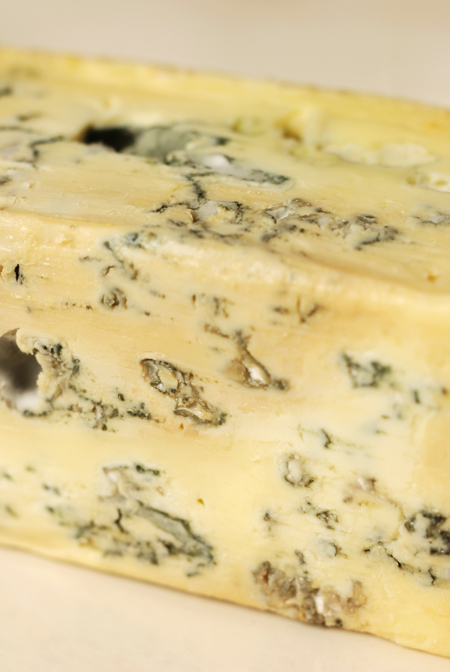 You can't miss it's distinctive blue wrapper - it's packaged as a 150 gram rectangle. 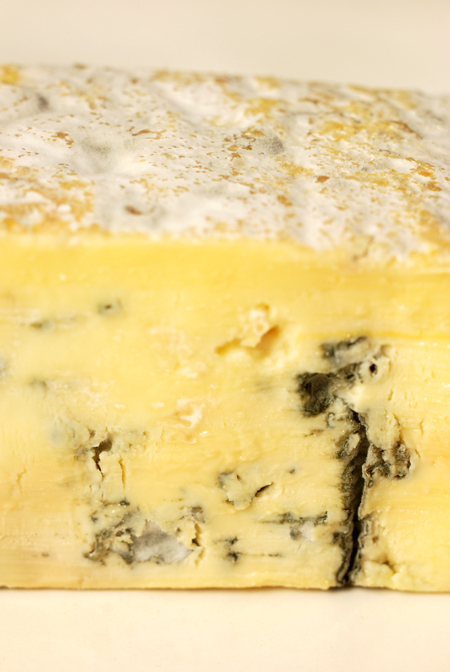 There's a slightly sticky rind on two of the long edges as well as the top and bottom, the cheese itself has a slightly mottled toning, moving from pale to dark cream. I was actually quite surprised and pleased by the depth and variety of moulding, from crevices to deep dark holes. For something that is so commercial, it is good to see that they are trying to offer something with some character. Tastewise, it is surprising good - it has bite coupled with creaminess and just enough saltiness to accentuate the flavour.